I am sharing my placement experience and American Express interview questions. It is campus placement. American Express visited our campus. It is Full-Time employment offer from American Express under the profile of design engineer. Offered job location is Bangalore. All the students having 60% and above throughout the semesters were allowed to sit. Here is my American Express interview experience. There was one round of written test and 3 rounds of interviews. There was one round of written test and three rounds of American Express interview. First Round: It had 32 questions which include 15 from aptitude, 15 from technical and 2 coding questions. In aptitude, they mainly focused on time and speed, time and work, permutation and combination and probability. In technical, they asked basic questions from Data structures and algorithms and DBMS. And in coding they gave job sequencing and Knapsack problem, which was easy only. In a second interview round, it was projected discussion of both B.tech and M.tech. Next question was to implement hash map. Then sorting algorithms in which he gave me cases and asked which sorting algorithm will be best in which case. What is hashing? Why we use hashing? What are the different types of hashing? Next question was we are having 1000 elements. We have to store only top 100 elements. We have space only for thirty-elements. Then how we will store it? And what will be the time complexity? How to implement the queue using a stack? Read also: How to implement Stack using Array? This is all for the second round of interview. In a third interview round, they asked me codes on arrays, linked list and binary trees. In an array, they gave me one pattern and asked me to write its code. Then in a linked list, they asked me for finding the loop in a linked list. How to find the merging point of two linked lists having different length? In a binary tree, they asked me to write code to find the height of the tree. Another one is to check whether the small binary tree exists in another big tree or not. And few question on my M.Tech. project. In a fourth interview round, they asked me complete DBMS. In which they asked me questions on normalization, ACID property, serialization and indexing. What is normalization and what are the different types of normalization? What are the ACID properties in DBMS? Some questions on serialization. Whether two transactions are serializable or not? As my first two American Express interview rounds were very good, they didn’t take my HR round. They hired me after the third round. In between technical question they asked me some HR questions on my extracurricular activities. For others, they took HR round separate. Read also American Express experience shared by other Candidates. 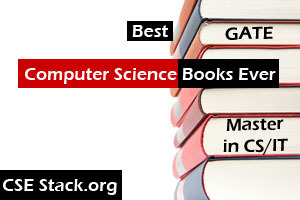 CSEStack helped me a lot in my preparation.